When it comes to finding out what parents can do for their newly licensed teens, they have to search through everything that is out there to find out the right methods and the right information to give. 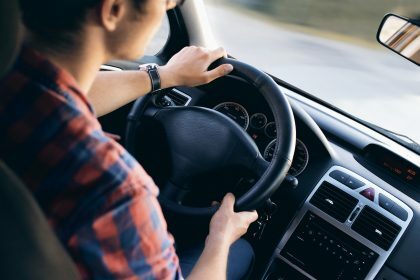 They want to ensure that their teens are safe once they get their licenses and now they can by educating and informing them of the dangers and responsibilities that lie in their hands when they get behind that wheel. Here are some tips for showing your children more about the road. Parents play an important role when it comes to teaching their teens how to drive. If the parent has good driving habits, chances are this will be passed down to their children. The child will watch the things you do when they can see you and this will stay with them until they are old enough to drive. Teenage drivers will learn your habits and then mimic them. If you found it safe to text and drive, chances are, your child will feel that they are capable enough to text and drive so teaching your children how to be good drivers on the road can start with you and what you do while driving around. Driving around with your teens can be a good thing when it comes to letting them drive and having them show you what they learned. You can also let them know more about driving and what they should be doing while on the road. However, if you do not feel that you have time to do this with them – find someone that can bring them and teach them. By having someone walk them through driving and the dangers of driving – they can become that much more of a safe driver overall. You should also ensure that you have expectations and rules set down for your teen. They should make sure that the teen knows the rules and regulations when it comes to driving not only of the laws but of your household. You want them to be smart out there. Parents need to ensure that their child understands what they are saying and make sure they are clear and to the point. Your teenage drivers need to know that this is not about the parent wanting the control, but rather the parent wanting the teen to be safe while they are driving out and about. Open communication and working together with the teen can help everyone feel more at ease. You need to show them that there are consequences to breaking any of the rules on your paper or that of the road. You should also discuss the hazards that are out there and ensure that they follow all of the rules to a T.